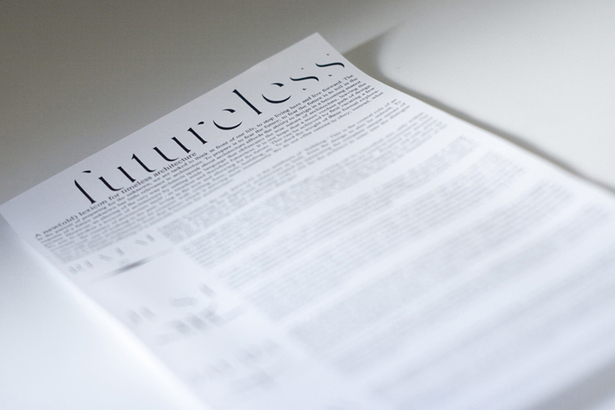 Written by the two partners of LIONarchitecture, Futureless is a new(old) way of both thinking and talking about human's interface with place. Futureless is a lexicon in essay form aimed at reorienting our disrupted experience with the world and beyond. Similar to the concepts of archetypes, the words that constitute this lexicon permeate through all aspects of the world around is. Releasing the constraints of both era and zeitgeist, Futureless is a gathering of timelessness that may lend itself to an alternative way of designing, constructing, and experiencing 'appropriate interface'.